100% CLEAN KETO PROTEIN is a nutritious and balanced supplement with 70% of calories from clean fat, 20% of calories from protein and low net carbs, resulting in a delicious protein shake that supports a ketogenic lifestyle. 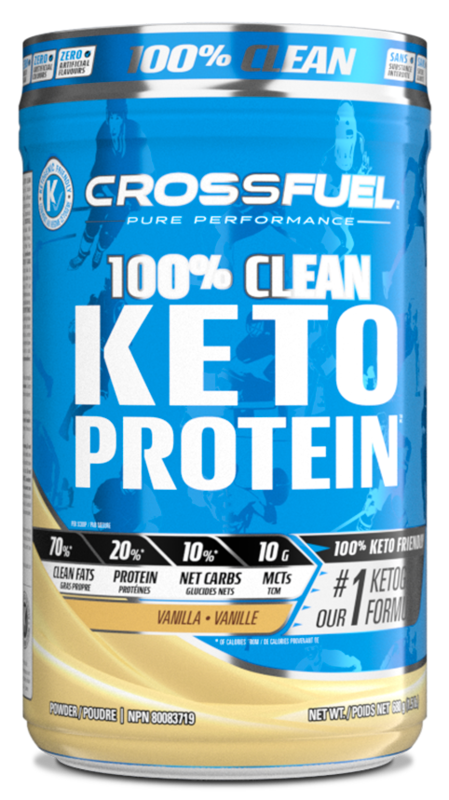 You can use Crossfuel 100% Clean Keto Protein as a substitute for a snack or a meal replacement to help you feel fuller and support your ketogenic lifestyle. We strive to deliver a clean fat content to our consumers through premium fat sources designed for Ketosis. These include Coconut Oil, providing you with not only clean fat but an additional 10 g of Medium-Chain Triglycerides (MCTs). 100% CLEAN WHEY PROTEIN is a premium, high protein powder that supports the growth and recovery of muscles. Clean Whey Concentrate is rich in both BCAA’s and Glutamine making it the ideal protein to help build muscle size, definition and aid in recovery. Instantized for easy mixing and complete dispersion in liquid. 100% Clean Protein has no added Amino Acids – NO PROTEIN SPIKING – 100% Clean Whey Protein delivers a full 60g of protein per 2 scoops. CROSSFUEL 100% CLEAN ISOLATE is one of the cleanest and purest sources of protein available today and rapidly absorbed into the system. 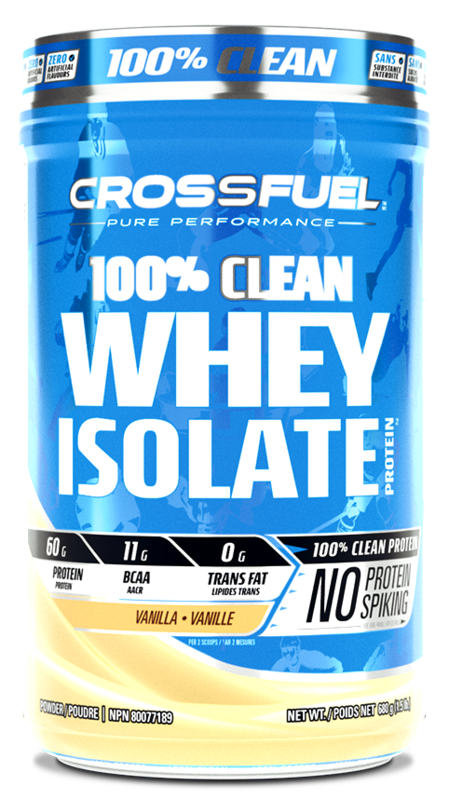 CROSSFUEL 100% CLEAN ISOLATE offers pure whey protein isolate with high levels of the important amino acids BCAAs and L-Glutamine to aid in muscle recovery and repair. With 60g of protein per 2 scoops and less than 1% of carbs and fat, CROSSFUEL 100% CLEAN ISOLATE is perfect for those looking to build a lean physique. CROSSFUEL 100% CLEAN ISOLATE is “Instantized” to allow for easy mixability. 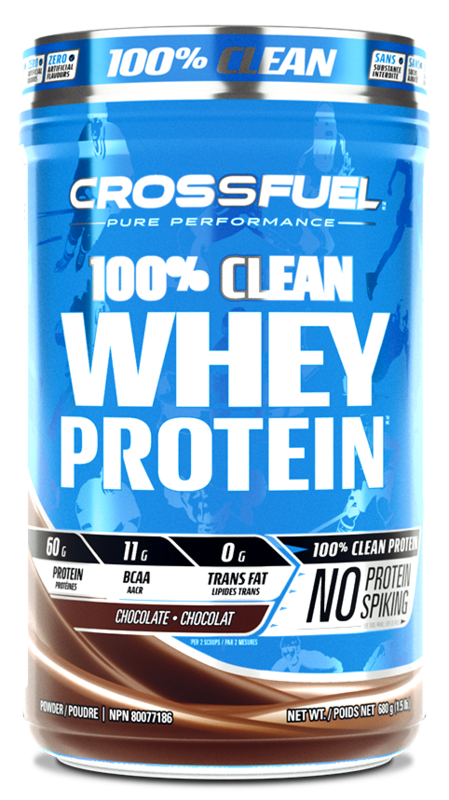 100% Clean Isolate has no added Amino Acids – NO PROTEIN SPIKING – 100% Clean Isolate Protein delivers a full 60g of protein per 2 scoops. Geared to drive anabolic muscle-building to the next level, 100% CLEAN MASS GAINER delivers 10 slow & fast acting protein sources. If you want to grow muscle, you need an abundance of nutrient dense, useable calories. Not sugars and junk! 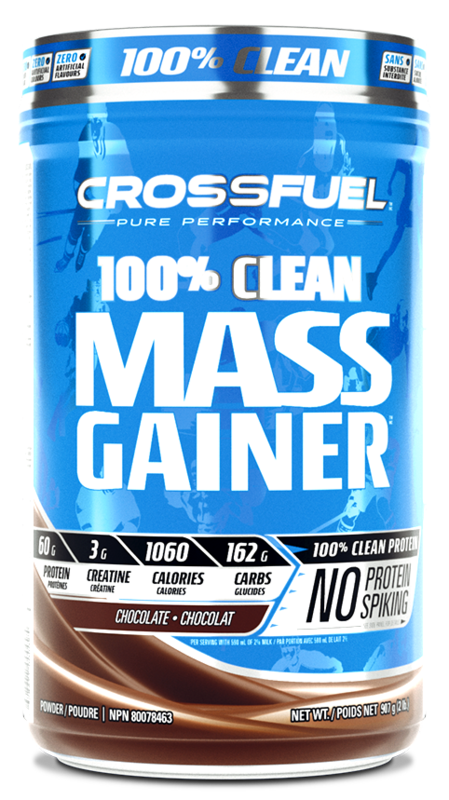 New 100% CLEAN MASS GAINER is loaded with clean, food sourced carbohydrates, l-glutamine for recovery and is very low in refined sugars. Precise levels of calories and amino acids from multiple sources are mixed with creatine to help the body create more lean muscle…FAST! 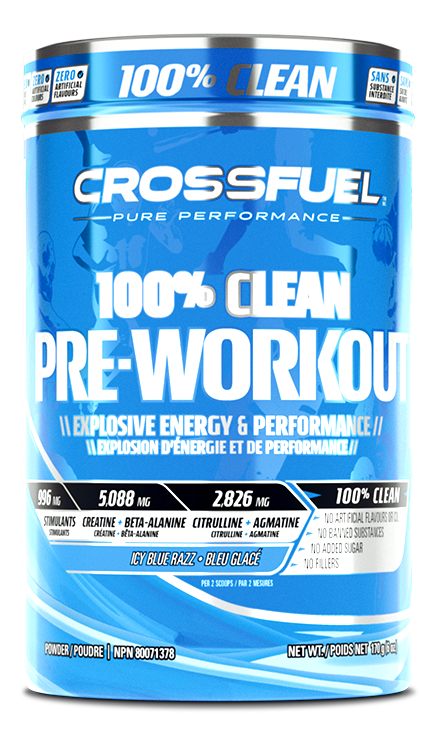 CROSSFUEL™ 100% CLEAN PRE-WORKOUT is formulated to increase energy, promote endurance and enhance motor performance, all delivered in just one scoop. L-Citrulline, Agmatine Sulfate, Creatine HCL, and Beta-Alanine all contribute to this advanced formulation to help fuel workout experience like never before. 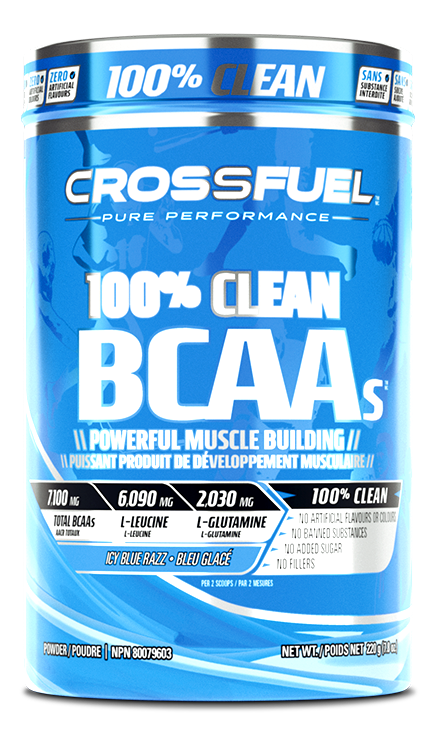 CROSSFUEL™ 100% CLEAN BCAA is an amino acid formula with unmatched, mouth-watering flavour! Leucine loaded the most sought after BCAA for building muscle, increasing protein synthesis and improving recovery, delivery over 7g of total BCAA’s per 2 scoops. We have also included the super amino acid L-Glutamine to boost your glutamine levels. Building muscle has never been this delicious!